Why pay job boards to outrank you? to level the playing field and beat job boards at their own game. Job boards have been in the way for too long and it’s time we help you do something about it. Now you can go head-to-head with the job boards and beat them at their own game! 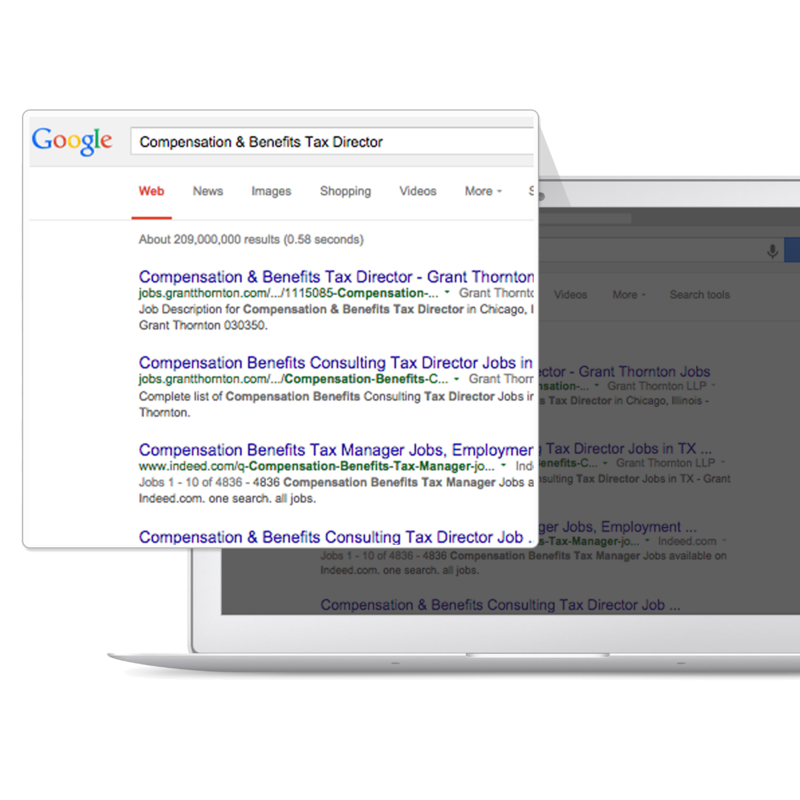 OptiJob levels the playing field by optimizing your job postings to make sure they can be favorably ranked in search engine results. Together, we’ll chip away at job board dominance and provide job seekers with direct access to jobs with actual employers like you. Increase your recruiting reach by dominating search results, build your talent audience and capture the right candidates at the right time. 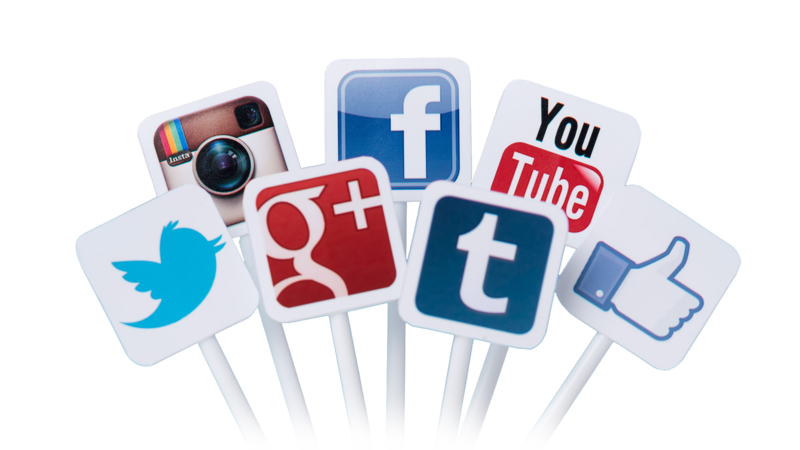 It’s easier than ever to use social media to attract and engage your talent audience. Start the conversation to build trust and valuable relationships with potential candidates to increase your talent pipeline. Easily tweet, update and share jobs and post other content, communicate with your audience and stay on top of everything all within one simple dashboard. 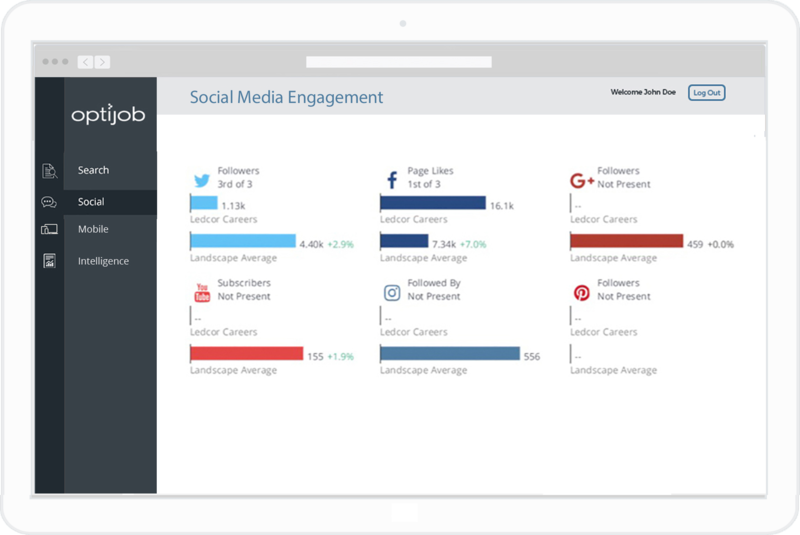 Stay on top of all the action, instantly measure and track your social media efforts and build detailed reports in seconds. Mobile technology has transformed our day-to-day lives, including the way we look for jobs and interact with potential employers. Mobile devices account for 70% of all job searches and career site visitor traffic, yet only 30% of employer career sites are optimized for their mobile audience. 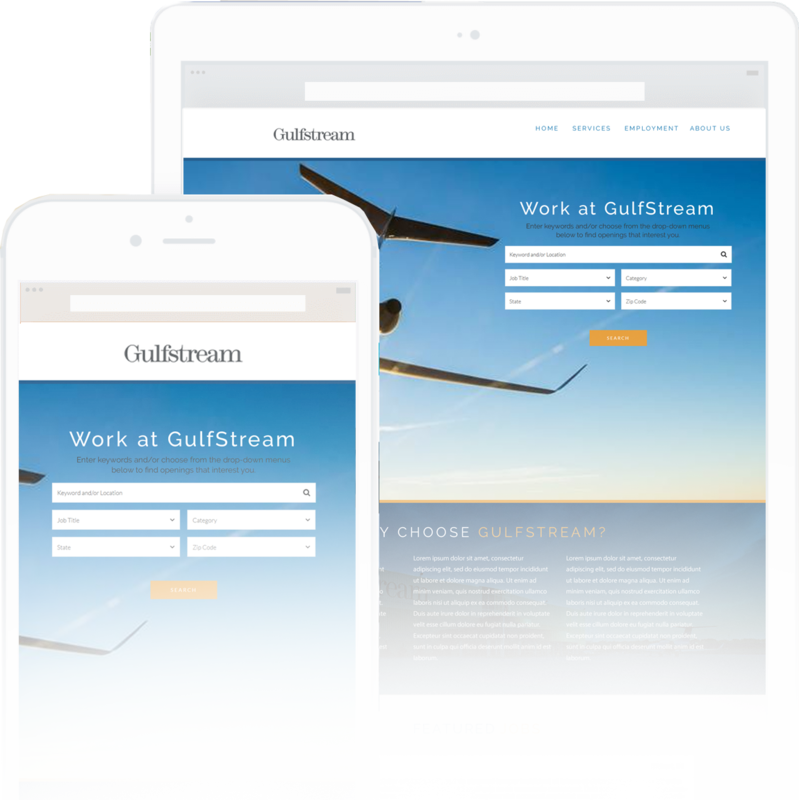 OptiJob gives job seekers a consistent, high-conversion experience across all devices highlighting your employment brand and message, but most importantly providing job seekers with a stellar candidate experience that they’ll remember. Have you ever wondered how job seekers find your jobs? Where they come from? Why they’re visiting? The jobs they viewed, shared and applied to? Have you ever wanted to see what your competitors are up to? If you had access to information that gave you a clear competitive advantage, would you use it? How about if it also saved you time and money? Finally, a simple dashboard to easily measure and track all your recruiting efforts and competitive intelligence in one place. 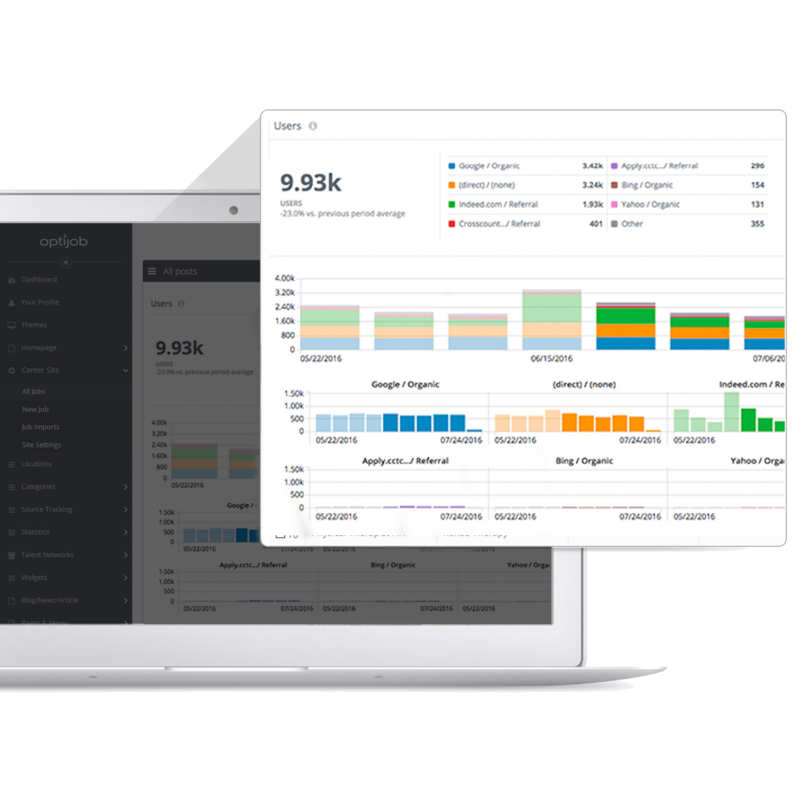 Create and customize dashboards to monitor and analyze career site traffic, referral sources, social campaigns and engagement, job board performance… you can even add your own data to analyze. We go to war for you, so it’s nice to know the enemy, their strongholds, battle plans and anything else of value.